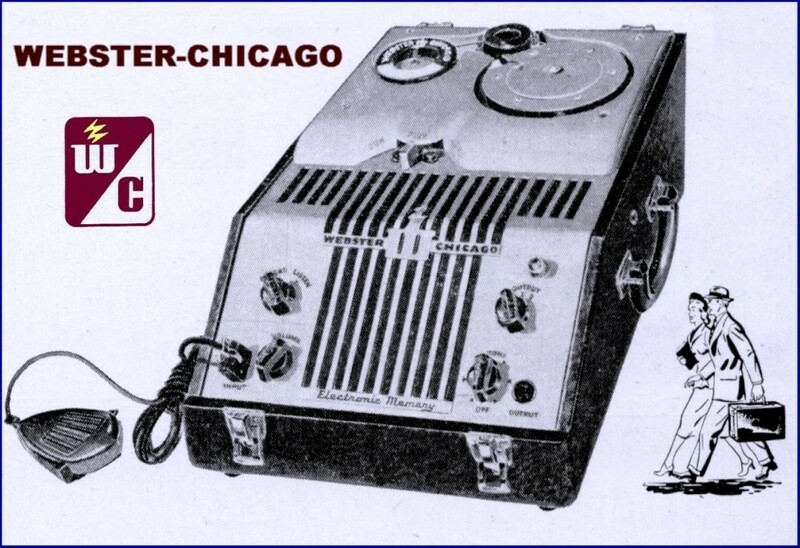 1948 wire recorder manufactured by Webster. The plant has held up relatively well through the years; it still maintains an original light fixture above the entrance, as well as an interesting (though likely not original) door handle apparatus. The windows were also modernized at some point, but the building still bears a striking resemblance to the postcard view. A 1955 Tribune article indicates that the company operated five plants in the Chicago area at that time.7 The Webster Company appears to have dissolved sometime in the 1960s, though the company’s later history is somewhat unclear. The building is still in use for industrial purposes, a testament to the perpetual usefulness of small one-story factories with open floor plans. This article was last updated on Thursday, July 2nd, 2009 at 11:07 pm.